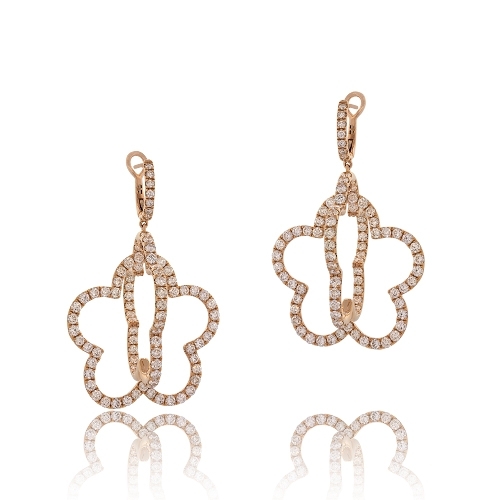 Diamond open floral earrings set with fashion diamonds mounted in 18k rose gold. Diamonds approx. 6.23ct. Earrings 1.8". Also available in yellow and white gold.